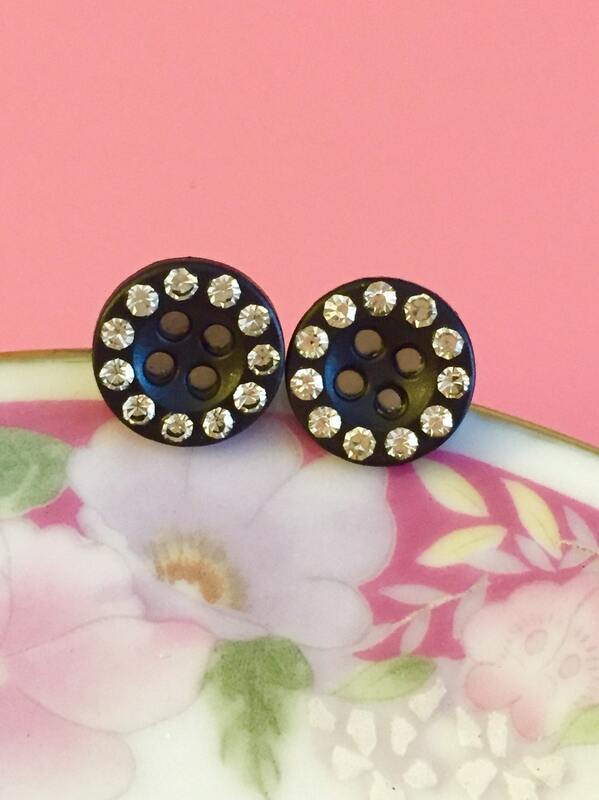 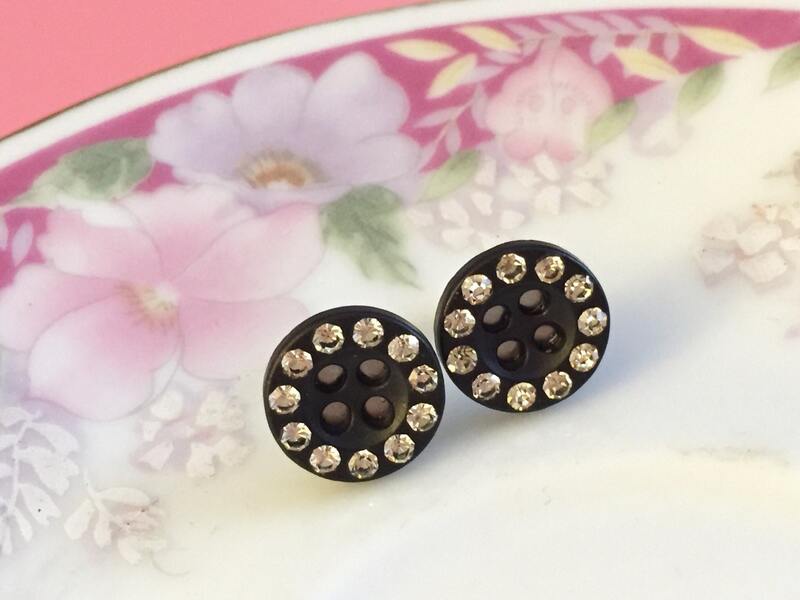 You are purchasing a pair of earrings made with these black buttons with rhinestones all around the edge. 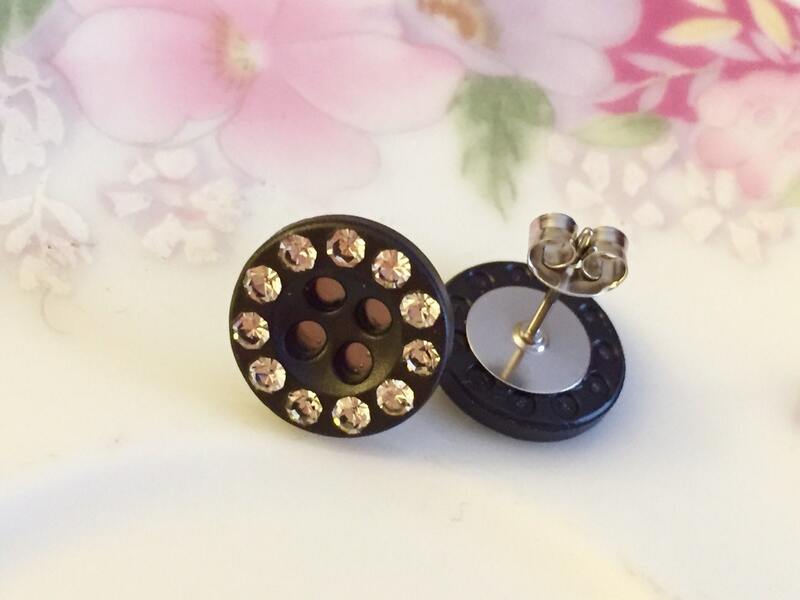 The buttons have been securely attached to stainless surgical steel ear posts. 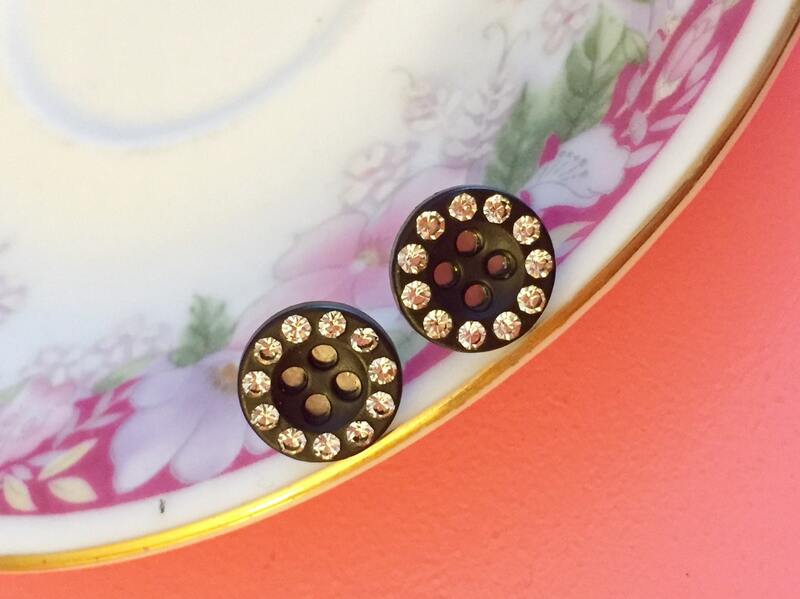 These post earrings measure about 1/2 (12mm) inches in diameter. 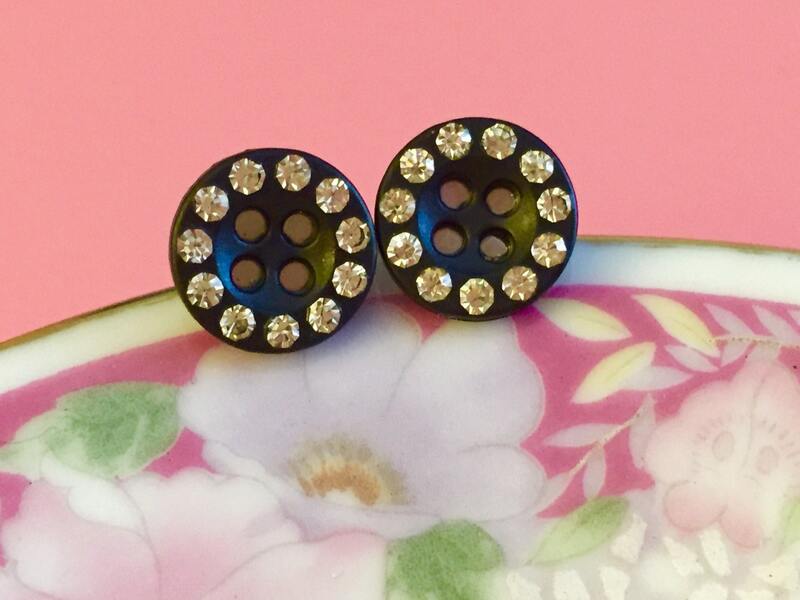 PS: All stud earrings are MADE TO ORDER so please allow 48 hours for me to prepare your earrings for shipment - thank you for understanding.